Happy New Year from your friends at Casa Cool Beans! Here’s a 2017 Travel Bucket List for CEOs (and what better way to break into 2017 than as the chief executive officer of your life!). Feel free to add a destination or two. And, hey, we’ll take it as a given that a trip to RIO (your first, second, or hundredth) is an automatic add-on to the list! We wish you a Merry Christmas! We wish you a Merry Christmas! From our hearts to yours, a Happy Happy Holidays from Casa Cool Beans. As we send our love to Brazil, America and every home across the globe, let’s take a look at some of the sweetest holiday desserts across the globe! Check out today’s post for a selection of exclusive New Year’s Eve parties in RIO. Tickets are already on sale, so you don’t want to wait if your plan is to rock in the New Year in RIO! In the 100 years since the first recording of samba, the musical genre born of Brazilian slaves has become the “soul of the Brazilian carnival.” As samba continues to evolve, bringing together people of all ages and backgrounds, the soul of the music somehow remains unchanged. Read on for more on how samba has resurrected communities and created bridges in RIO communities. Line 4 of RIO’s subway system opened prior to the 2016 Olympic Games with limited operating hours compared to the Metro’s other lines. Now, Line 4 is officially operating with the same hours as the rest of the subway system. 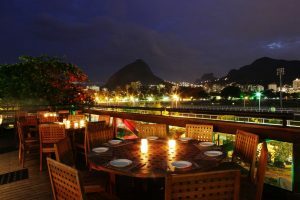 Read on for more about this convenient connection between RIO’s Ipanema and Barra da Tijuca. 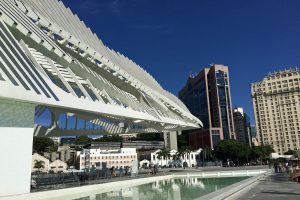 Beginning in 2013, with the removal of the gloomy and imposing Elevado da Perimetral (elevated highway) and continuing with massive construction projects ahead of the 2016 Olympic Games, RIO’s Centro neighborhood has been transformed into a cultural and tourist hub of the city. Read on for more of what you can explore in the NEW Centro! 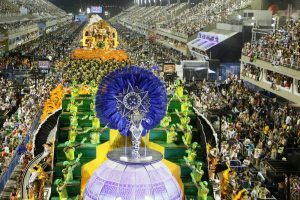 Yesterday we learned that RIO’s Carnival samba schools are already gearing up for the event’s technical rehearsals. Now check out the official Carnival parade lineup! Carnival is coming to town! As the holidays approach, RIO’s Carnival Samba Schools have announced technical rehearsal schedules for 2017 as samba school’s prepare for their biggest show of the year. 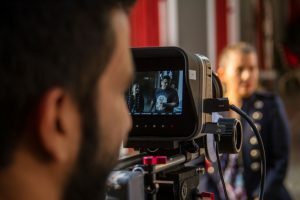 Read on for more!